Discover the story behind Borderlands 2’s villain, Handsome Jack, and his rise to power in this brand new game in the Borderlands series. Taking place between the original Borderlands and Borderlands 2, the Pre-Sequel gives you a whole lotta new gameplay featuring the genre fusion of shooter and RPG gameplay that players can’t get enough of. Discover the story behind Borderlands 2’s villain, Handsome Jack, and his rise to power in this brand new game in the Borderlands series. Taking place between the original Borderlands and Borderlands 2, the Pre-Sequel gives you a whole lotta new gameplay featuring the genre fusion of shooter and RPG gameplay that players can’t get enough of. Recently, I finished with BL2 and started playing the Pre-Sequel. At... Read All I recently decided to start playing the Borderlands series after getting a good bundle on sale some time ago. The first game was ok. I got used to it and learned. It had fun and challenging moments, which were sometimes polar opposites. Still, I got a lot done and had some fun. So, I moved on to BL2, which immediately looked like a super sweet visual upgrade to the original game. It’s much more than that, though. The AI is better, there are more varieties of weapons, and many other improvements. BL2 is a true sequel and I think playing the first game and then the second made me appreciate them more. I wasn't all that excited about Borderlands: The Pre-Sequel until this video, honestly. It seemed like a filler game between last gen and current gen, for the most part. But Mr. Torgue is the cure for what ails you. Not just Torgue, but the info in this video makes me far more excited than I was. The news that this is coming to Linux in addition to all the other common platforms is certainly another point in its favor. But rather than just a cash-grab while working on their current-gen titles, this seems to add quite a bit to the Borderlands formula. What do you think? I wasn't all that excited about Borderlands: The Pre-Sequel until this video, honestly. It seemed like a filler game between last gen and current gen, for the most part. But Mr. Torgue is the cure for what ails you. Not just Torgue, but the info in this video makes me far more excited than I was. The news that this is coming to Linux in addition to all the other common platforms is certainly another point in its favor. But rather than just a cash-grab while working on their current-gen titles, this seems to add quite a bit to the Borderlands formula. What do you think? I might be wrong, but to me, it kind of looks like a cash grab with some heart. If you love Borderlands, this looks like some "sweet juice" to keep you interested. That said, there isn't much in the way wrong with delivering more awesome to people using the same core engine and gameplay everyone loves. In fact, it's a great idea. With that, it seems like a kind of cash grab... like I say, with heart. All that said, this does look like a pretty solid game and I am interested to hear what people think of it. Are you picking this up at launch Travis? I won't be, I already need to complete Borderlands 2. I'll most likely pick it up at launch, yeah. The only way that I can still see it as a cash-grab is that it's using the same engine as BL2 and being farmed out to a different dev studio. But that dev studio obviously loves the series and seems to be doing it right. Totally different kinds of weapons, totally retooled skills (in the case of Claptrap), doing some really inventive things with each vault hunter's core abilities, new mechanics introduced due to low oxygen and gravity. It seems like that core Borderlands formula without just being a rehash. The one thing I worry about-- Slag weapons were introduced in BL2 and became essential in the endgame. I worry that freezing weapons will become essential in the endgame for the Pre-Sequel and corner you into one play style. Earlier in the week, Take-Two's financials were leaked, which showed Linux as a platform for Borderlands: The Pre-Sequel. IGN has reached out to Take-Two for confimation, and they got it. This is the biggest non-Valve game that I'm aware of to be confirmed for Linux since the OS started gaining traction on Steam. This is definitely good news for Linux users, and I can't wait to try it out. http://www.ign.com/articles/2014/08/06/borderlands-the-pre-sequel-coming-to-linux Earlier in the week, Take-Two's financials were leaked, which showed Linux as a platform for Borderlands: The Pre-Sequel. IGN has reached out to Take-Two for confimation, and they got it. This is the biggest non-Valve game that I'm aware of to be confirmed for Linux since the OS started gaining traction on Steam. This is definitely good news for Linux users, and I can't wait to try it out. Are you guys getting all the recent Shift codes? Awesome. I'm gonna nab those for sure, thanks scrypt. I've missed a couple that have expired. I need to check back in on them and see if they've given new ones for the ones I missed. They aren't expired. I just entered them an hour ago. Unless they expired within the hour. These are specifically for pre-sequel skins. I know, I'm talking about one from a couple of weeks back. Check the bottom, this shows which ones are expired. Ok so there have been 3 released so far and I was able to redeem them all. Err, 4. 4 have been released. 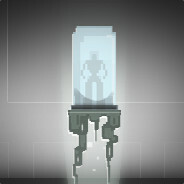 Don't mean to necrobump, but the game is pre-loading for Linux. I'm hoping it unlocks at Midnight. A triple-a day one on Linux is really great and I believe, this is the first one. Let me know how it plays, I am still making my way through Borderlands 2 so I haven't pre-ordered the pre-sequel yet. Borderlands: The Pre-Sequel is the new game from Gearbox that is a prequel to Borderlands 2. Featuring a playable Claptrap, the pre-sequel looks to be an interesting version of Borderlands. 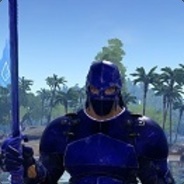 If you need more Borderlands, this is something you should take a look at. Are you interested in picking up Borderlands the Pre-Sequel? 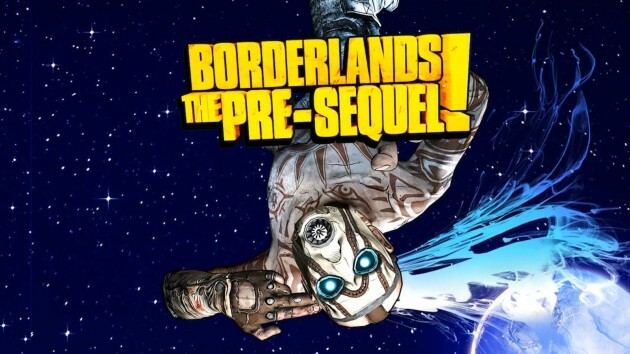 Borderlands: The Pre-Sequel is the new game from Gearbox that is a prequel to Borderlands 2. Featuring a playable Claptrap, the pre-sequel looks to be an interesting version of Borderlands. If you need more Borderlands, this is something you should take a look at. Are you interested in picking up Borderlands the Pre-Sequel?